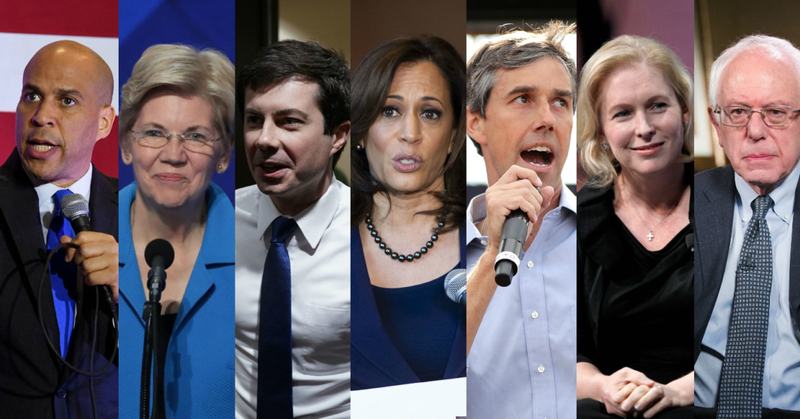 2020 Election, Democratic Contenders In The Field, Who Can Challenge Trump? We have seen in the past, Carter ran on trying to be a man of the people, Clinton moved to center to appeal to the common man, Obama ran claiming he was going to set up the nation to include all people, but what we have now, they have abandoned all claims of trying to be of the people, they are moving forward regardless of what Americans think with the 2020 election in sight. We have seen pushes by the left with candidates jocking to see who can be the most radical far-left actor, but seems what they have forgotten is the fact that America is not this way. Most Americans are set into groups, you have about 35% that will vote democrat, don’t care if the people are liberal or more to the center, you are promised that these people are going to vote for a Democrat regardless. On the other side, you have about 35% of the nation are Republicans, like their leftist counterparts they will vote for the GOP candidate, these people, as a rule, are seen as impossible to go after, this is not who candidates are trying to draw to their side. These are the ones that are going to decide who will win the 2020 election. The voters that all candidates eye are the near the center politically, they lean center left or center right, are independents, will vote for the candidate who best represents their views, does not matter to them what side of the political spectrum they come from. Make no mistake, these are the ones in the end who decide who wins in the 2020 election. Last we have the 5% on the fringe of both the left and the right, these are what they call Obama conservatives or Reagan Democrats, they associate with the Democrats or Republicans, but if you present a good enough campaign, they will switch sides. What this means is that candidates are first pursuing their 5% within their own party so as not to lose them, then they look to the 20% in the middle, they know without these people you can’t win the election, and this is where the DNC today is running into a huge problem, it is also why they are now voicing demands for the election process to change. They know if they don’t change the electoral process by the time the 2020 election comes along, their chance of winning with the current economy is minimal at best. This 20% of independents lean to the left or right of center, but the left is not headed in that direction. 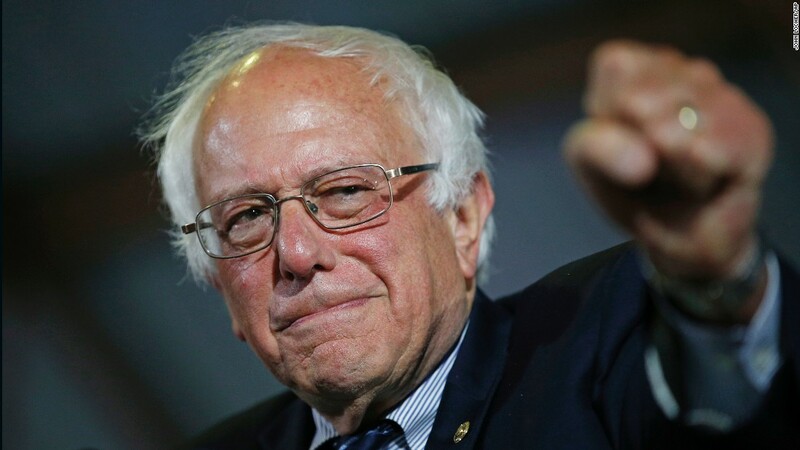 With the likes of AOC, Ilhan, and Sanders that are pushing steadily at the DNC to push them further and further to the left, the problem with this, and is why Trump was elected, much to the surprise of the left, he was not what you would consider a far-right conservative, instead he was more center-right than anything else, meanwhile, his opponent was moving further left, this left many of these swing voters turning towards Trump. One of the things I found interesting being pushed was with Senator Warren, I have heard people scream that what she wants is unrealistic. Concerning her goal of breaking up monopolies, such as Google and Facebook, but I must say, I don’t find this such a terrible idea, although I can say the rest of the garbage she brings would run me away from ever jumping ship to support her. I must say, this may be a record that should be noted, this may be the first time I have ever agreed with her on anything. The other front runners, such as Biden brings way too much baggage to go up against Trump, one of the reasons is his plain creepiness you see in his interactions with kids, he reminds me of the dirty old man we all remember in the town we grew up with that our mothers told our sisters to never go off alone with him anyplace. Then you have Sen. Kirsten Gillibrand, former Gov. John Hickenlooper, Gov. Jay Inslee, Sen. Bernie Sanders, Sen. Amy Klobuchar, Sen. Kamala Harris, ex-San Antonio Mayor Julian Castro, Rep. Tulsi Gabbard, former Rep. John Delaney, and author Marianne Williamson are all running for president, they seem to be vying now for whom can swing the furthest left, do away with the electoral college and at this point seems they are all giving lip service to the New Green Deal, a great pie in the sky dream. With the problem I see with each of these people rushing towards the far left, they will get the democratic vote if they are nominated to represent the DNC, but as they move further and further to the left, you are going to see more and more votes drop off as the independents right and left of center find that their goals and theirs simply are too radical, this is going to bite the Democrats in the 2020 election. Then we have former Rep. Beto O’Rourke, the new darling of the left, but if you look at his positions, they seem to change with the whim of public opinion, it is hard to get a grasp of what he stands for due to him changing his stance to satisfy whatever group he is dealing with, this will also be a huge problem, people what to know what they are voting for, you give no clear view, they will not vote for you. Sen. Bernie Sanders most of us know of, the old socialist that wants to turn America to a socialist paradise. While this may be appealing to the youth, they are not the ones that do most of the voting, it is the people aged over 40 that do most of the voting, the percentage goes up with age. While Berney has support with the youth, he has little with his socialist agenda with the center left and right, thus, would most likely have a very difficult time tapping into this demographic. Last is Andrew Yang, a dark horse, he has said much of what the youth want to hear, such as a universal American wage, at this point a $1,000 a month, but looks like this is just more a smoke and mirror scheme due to him wanting to raise all tech stocks, to pay the over trillion bill for this. He also as most others are pushing for Medicare for all but is different in his demand for change our reporting of our economic growth. How do you measure this? And markets are driven by demand, never by goals, to think otherwise shows his lack of understanding of a market. We need to know what the other side is presenting, for not only the candidates are going to present what the problems are with the other side, we have to do this on a more personal level, to be able to understand and explain why some of these are bad, both personally and for the nation, I think he will go long before the 2020 election, but one never knows. The one problem I see with all the Democrats, they dream big, but dreams are just that, dreams, if you can’t find a practical way to implement them, they will never be anything other than dreams. If you push to implement without figuring how to finance it, you will end up with broken dreams, nothing more. Previous16 To Vote? What Are The Democrats Thinking?